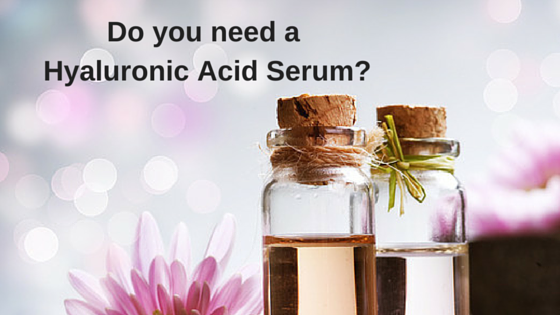 Q: Do you need a hyaluronic acid serum? When you look in the mirror, do you see the first signs of aging? A few fine lines around the corner of your eyes or even a lack of definition in your jawline? Well apart from using fillers or having a face lift, you could consider using a hyaluronic acid serum, which is much less expensive and far less invasive than the other options. Q: What is a Hyaluronic Acid Serum? A hyaluronic acid serum can be composed of a number of ingredients, but the main ingredient is always hyaluronic acid or hyaluronate, as it is sometimes called. This is a polysaccharide (which is a number of sugar molecules bonded together) and is found naturally in the body. Lubricates and cushions joints – it is great for osteoarthritis. Hyaluronic acid binds strongly to water. It is said to actively reduce inflammation. 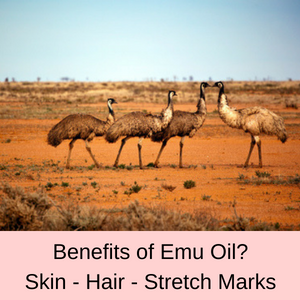 Hydrates the skin and is vital to maintaining the structure of skin. Tendons, ligaments and connective tissue. 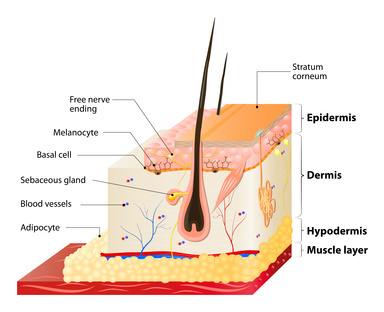 Skin – your skin holds the most hyaluronic acid in the body. We have the largest amount of hyaluronic acid in our body when we are born, which is why a baby’s skin is so soft and velvety. 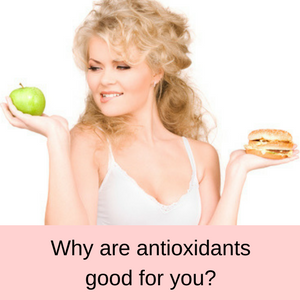 However, as we age, the production of hyaluronic acid in our body reduces, which is one reason why our joints stiffen and our skin becomes dry and sags. A hyaluronic acid serum replaces this lost hyaluronic acid, delivering a powerful pulse of hydration to your cells and stimulating the production of collagen. 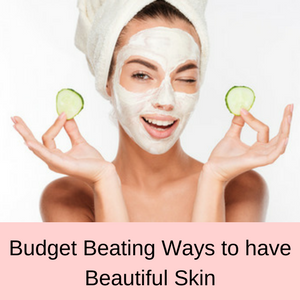 The result is younger looking skin (because it is no longer dry and tired looking) and more definition in your face (because collagen has been increased). Q: What does Hyaluronic Acid do for your skin? In our skin, hyaluronic acid and collagen are vital to maintaining a youthful appearance. 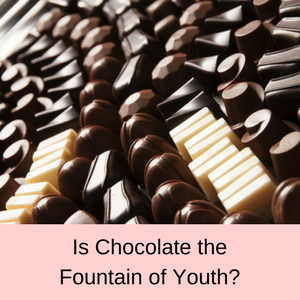 This is because both hyaluronic acid and collagen give structure to our skin and give our complexion a plumped up and more youthful appearance. Hyaluronic acid is found in the top epidermal layers of our skin, as well as in the deeper dermal layers and because it can hold up to 1000 times its own weight in water, hyaluronic acid helps to keep our skin hydrated and young looking. Hyaluronic acid not only holds water and hydrates your skin, but it also bathes the collagen and keeps it moist and elastic. As the production of hyaluronic acid reduces over time, the collagen starts to dry out and lose its elasticity causing the skin on your face to sag and look older. 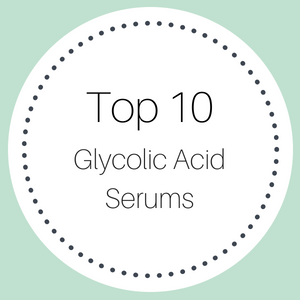 So hyaluronic acid adds moisture and plumpness to your skin. Q: What are the benefits of a Hyaluronic Acid Serum? 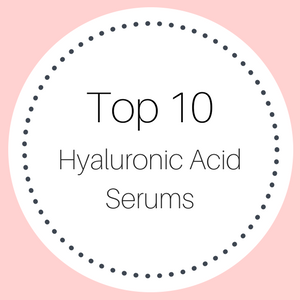 Hyaluronic acid is a very popular ingredient in many skin care products, particularly in facial serums. Serums are able to penetrate your skin much better than moisturizers, because the molecules are much smaller. Using a hyaluronic acid serum before you start to see signs of aging on your skin is a great way to hold off the ravages of time. This is because the hyaluronic acid serum delivers a pulse of hydration, deep into your skins tissues, once again bathing the collagen in fluid, keeping it moist and elastic. Hyaluronic acid serum is not a cure-all for aging and it will not instantly reduce all of your wrinkles and sagging facial skin. What it does is hydrate your skin and it does that very well. 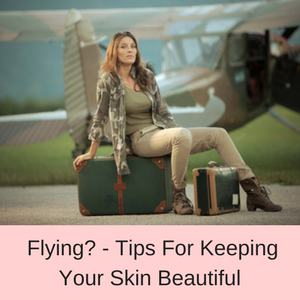 Hydrating your skin should help to keep your collagen nice and moist, so it retains its elasticity and helps to keep your skin younger looking, for longer. Q: What is Hyaluronic Acid Serum made from? You will find that some hyaluronic acid serums are composed of pure hyaluronic acid in a solution (usually a 1% solution) and other have lots of luscious ingredients, many of them focusing on antioxidants and peptides. Hyaluronic acid itself, is either made from Rooster combs or it is made in the laboratory using a fermentation process using a plant based growth medium. 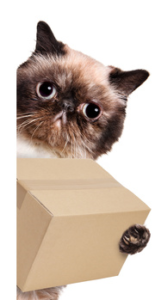 Q: What is high molecular weight Hyaluronic Acid Serum? High molecular weight hyaluronic acid has a naturally larger size of molecule than the bio-engineered low molecular weight hyaluronic acid. Whilst this type of hyaluronic acid can hold a lot of moisture, it has problems penetrating your skin, simply because of its larger sized molecules. So a high molecular weight hyaluronic acid serum is best for creating a protective barrier on your skin against moisture loss, rather than delivering moisture deep into your cells or stimulating the production of collagen. Q: What is low molecular weight Hyaluronic Acid Serum? Low molecular weight hyaluronic acid is the best type of hyaluronic acid to have in your serums. 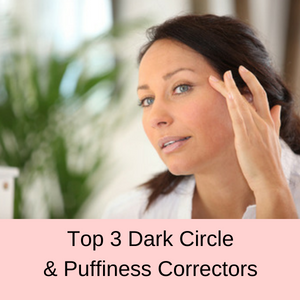 This is because the smaller size of the molecules can more easily penetrate your skin, delivering a pulse of hydration deeply into your skin’s cells and stimulating the production of collagen. To create low molecular weight hyaluronic acid (or sodium hyaluronate as it is rightly called after this process), some of the lipids, nucleic acids and proteins are removed from high molecular weight hyaluronic acid, reducing the size of the molecules. Q: Which Hyaluronic Acid Serum is best? The best type of hyaluronic acid serum is one that contains both high and low molecular weight hyaluronic acid molecules. This is because the high molecular weigh hyaluronic acid will protect your skin from further moisture loss and the low molecular weight hyaluronic acid will deliver hydration deep within your cells and stimulate the production of collagen as well. VoilaVe 100% Pure Low & High Hyaluronic Acid Serum. Joyal Beauty 100% Pure Vegan Hyaluronic Acid. 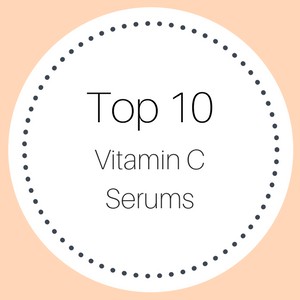 Q: How do you use a Hyaluronic Acid Serum with Vitamin C? You can either purchase a hyaluronic acid serum and purchase a vitamin C serum or you can purchase a hyaluronic acid serum that contains vitamin C. If you have very dry skin that is heavily sun damaged, you will receive the greatest benefit from using these serums separately. This is because you need the strength of the hyaluronic acid serum to re-hydrate your skin and you need the powerful antioxidants of a vitamin C serum to reverse the signs of UV damage in your skin. On the other hand, if you have a milder case of dry skin and sun damage, you might be able to fix your problems with a hyaluronic acid serum that contains vitamin C as one of its ingredients. If you use two serums rather than one, simply apply the hyaluronic acid serum first and once this has absorbed into your skin (it only takes a moment or so), then apply the vitamin C serum to your skin. Q: How long does Hyaluronic Acid Serum last? Your hyaluronic acid serum should usually last for up to 2 years from the date of manufacture, but always check the expiry date on the bottle when you purchase it to be sure. Also, if you have a 1 ounce bottle of hyaluronic acid serum and you use it daily, it should last your easily for 6 to 8 months. Q: How do you apply a Hyaluronic Acid Serum? Always apply your hyaluronic acid serum to a clean face and neck area, so be sure to cleanse your skin and pat it dry, before using your serum. Then using the dropper that comes with the serum bottle, just put one or two drops onto your finger tips and massage the serum gently into your skin. You can also drop the serum directly onto your face and massage it into your skin, if that is easier for you. The serum will absorb into your skin in a minute or two and then you can apply your moisturizer over the top of the serum. If you have a very oily skin, you might find that you don’t need to apply a moisturizer following your serum. If your skin seems too dry after using your hyaluronic acid serum, then be sure to follow up with a moisturizer. Q: Where can I buy a Hyaluronic Acid Serum? You can purchase hyaluronic acid serums in many different physical and online stores, usually where skincare products are also sold. 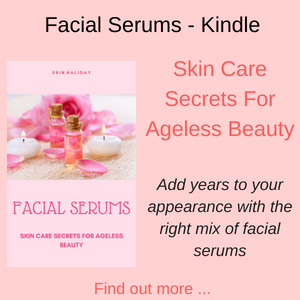 The best way to find the right hyaluronic serum is to read my reviews and then click the link through to the vendors site, as this way you can be sure that you are buying your chosen facial serum.